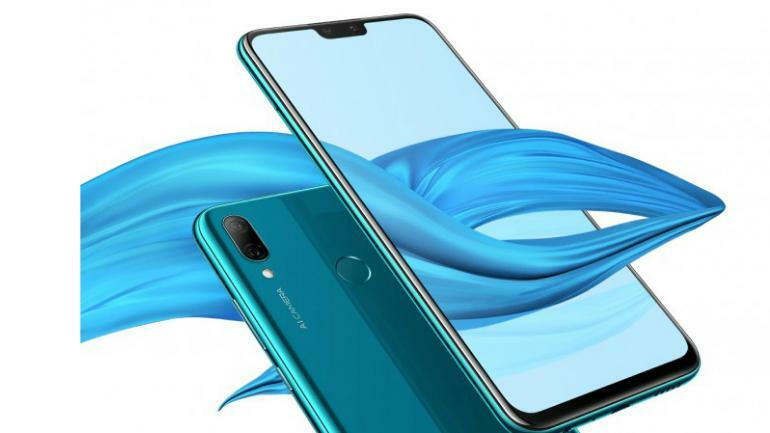 The Chinese smartphone manufacturer Huawei has launched its new mid-budget segment smartphone Huawei Y9 2019 in India. 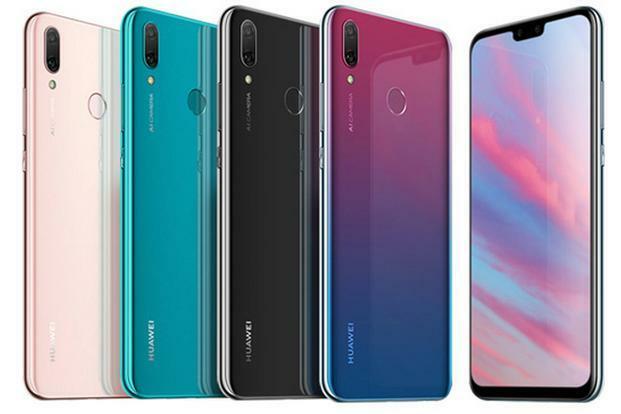 The smartphone was first announced in October 2018 in China and now company has officially launched the product in Indian Market. 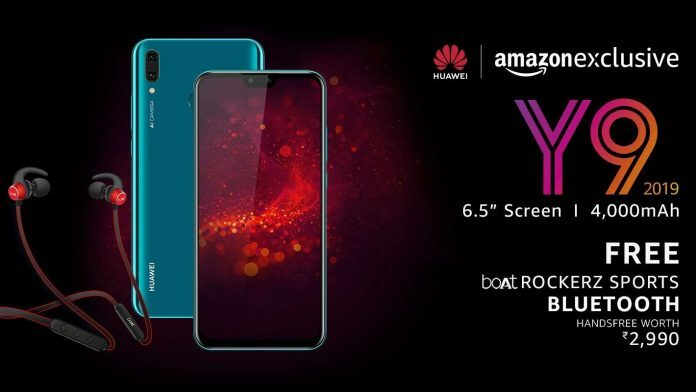 The newly launched Y9 2019 is the successor of previous year launched Y9 2018 . The smartphone is Amazon Exclusive and sales will begin from 15 January onwards. The Main Highlights of Huawei Y9 2019 are Hisilicon Kirin 710 12nm Processor , 6.5 inches of FHD+ Display and Four Camera ( Dual Rear and Dual front). Huawei is also offering Boat Rockerz Sports Bluetooth headphones worth Rs. 2,900 along with the purchase of the smartphone. The smartphone comes with 6.5 inches of FHD+ Display with resolution of 1080 x 2340 pixels with eye comfort mode and 3D Curved design. The Aspect Ratio of the display is 19:5:9 with a small Notch at the top. Huawei Y9 2019 is powered by an octa-core Kirin 710 12nm processor which is coupled with Mali-G51 MP4 GPU. The device comes in only one variant. It is equipped with the 4GB RAM Variant which gets 64GB internal storage. Coming to the Camera which is the main highlight of the device. 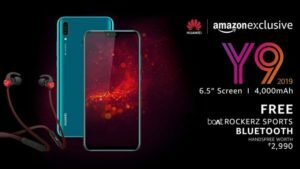 Huawei Y9 2019 comes with Four AI Cameras. It comes with Dual Rear Camera with a 16 MP Primary camera with aperture of f/2.0 and a 2 MP secondary camera with f/2.4 aperture depth sensor with LED Flash. At the Front there is a 13 MP Primary camera with f/1.8 aperture ,2um Large Pixel and a 2 MP secondary camera with f/2.4 aperture. The Huawei Y9 2019 is powered by a 4,000mAh Non-Removable battery which is also equipped with fast charging as well. And Huawei is claiming 52 hrs of voice calling time in single charge. There is a fingerprint sensor available at the rear side of the device for security purposes. The device runs on EMUI 8.2 based on Android 8.1 Oreo out of the box. As Far as Connectivity Features are concerned , it comes with Dual Sim, VoLTE ,Wi-Fi 802.11 а/b/g/n/ac, dual-band, WiFi Direct, hotspot, Bluetooth 5.0 , FM Radio , GPS etc.